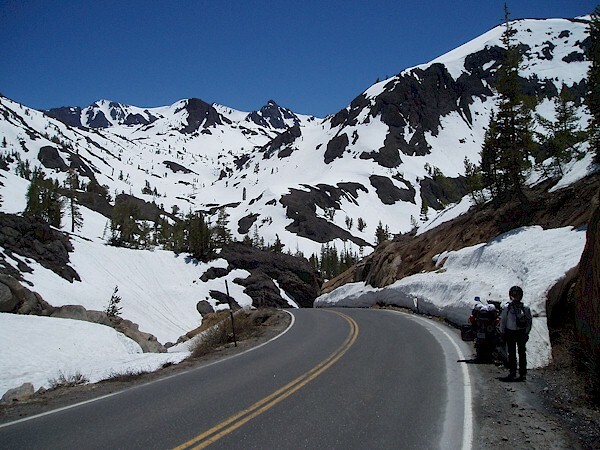 May/June 2006 "11 State Ride"
[Craig] We departed Sparks and rode the east coast of Lake Tahoe, Luther Pass & Monitor Pass (SR-89), to Sonora Pass(SR-108). At Sonora we picked up SR-49 south to Mariposa. [Lisa] We're on our way home now. We said good bye to Reno, and rode south toward the Sequoias. 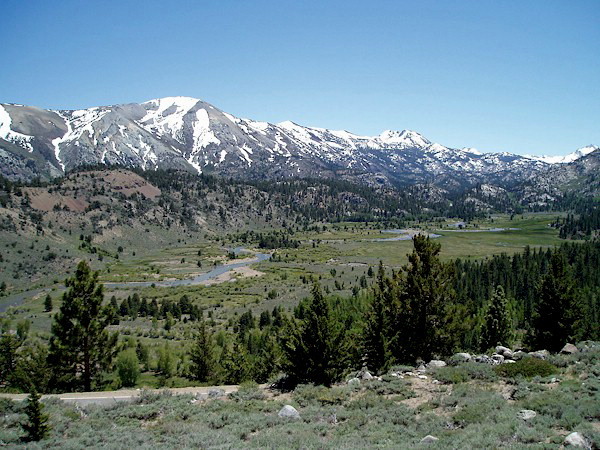 The Sierras are gorgeous! We rode through Lake Tahoe again, and ran into a lot of road construction. Nuts. We waited, and waited in some parts. 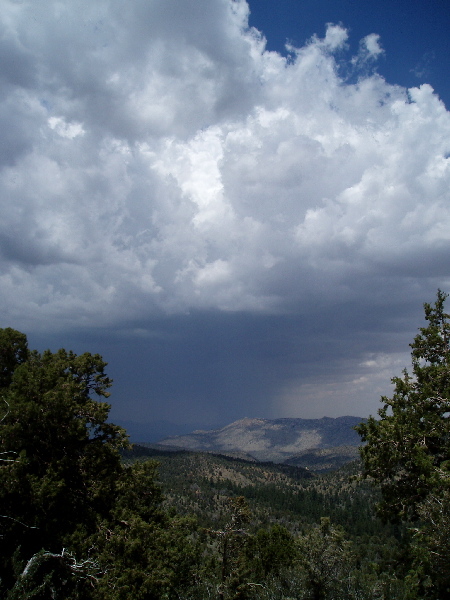 Sonora Pass (SR-108). 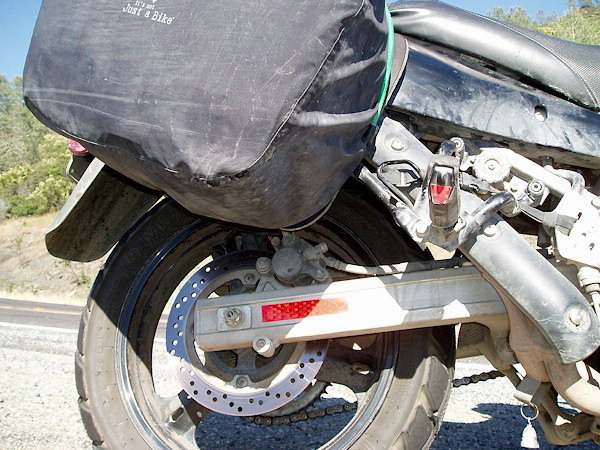 Kickstands optional with the snow banks right along the road. 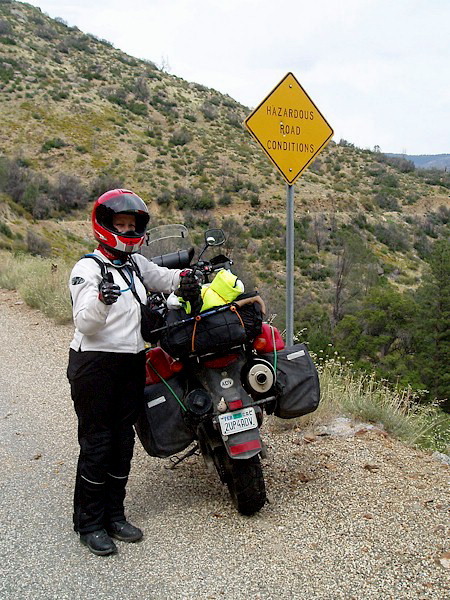 [Lisa] We did a couple of crossings over the mountains, getting a lot of perfect twisties and scenery that was inspiring. Twisties and more twisties! Great day for riding. 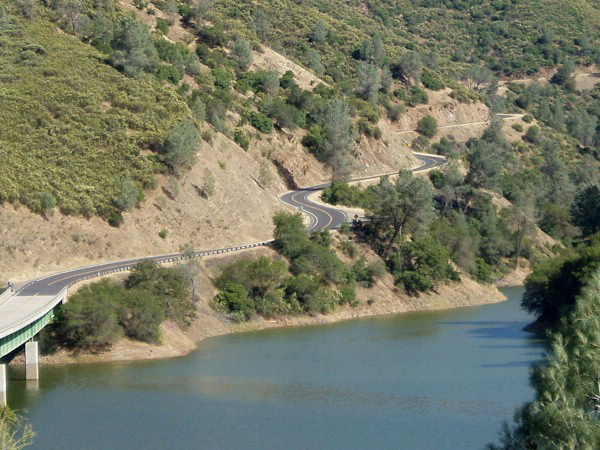 You can't beat the Sierras for wonderful roads for both fun and beauty. We got a bit overzealous, and dragged the luggage at one point. Craig readjusted the straps and we were on our way again. [Lisa] We stopped in Mariposa for the night at a nice motel with a pool. We enjoyed a dip to cool off after a long day of riding, then had a quiet dinner at the local restaurant. The town has a lot of murals, including one in the restaurant and a few on the sides of buildings. For a small town, there are a lot of pieces of art! Very fun! [Lisa] We got an early start, skipping breakfast and heading straight for the Sequoias. We stopped in a small town in the Sierra foothills to have brunch. It was adorable, and had great food. We enjoyed riding through Craig's favorite areas in the foothills covered with young Oaks and bunchgrasses. 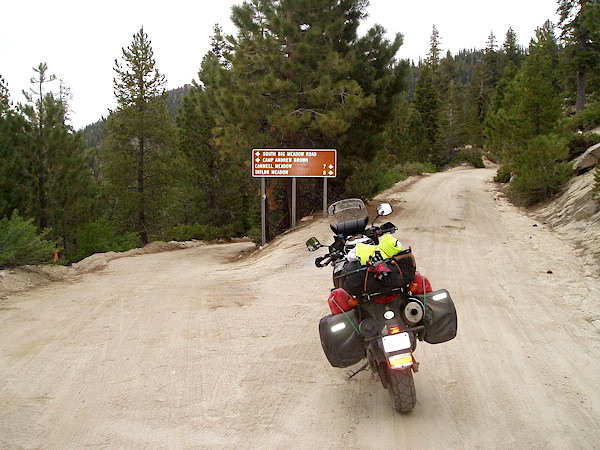 [Craig] We continued south on SR-49/SR-41, then bypassed Fresno to the east and picked up SR-180 east to SR-245 south (at the recommendation of DRxDR from ADVrider and vstrom.info). Now that road is twisty - tangled straight from the factory no doubt! Afterward we picked up Yokohl Valley Drive east and stopped for lunch at Springville. 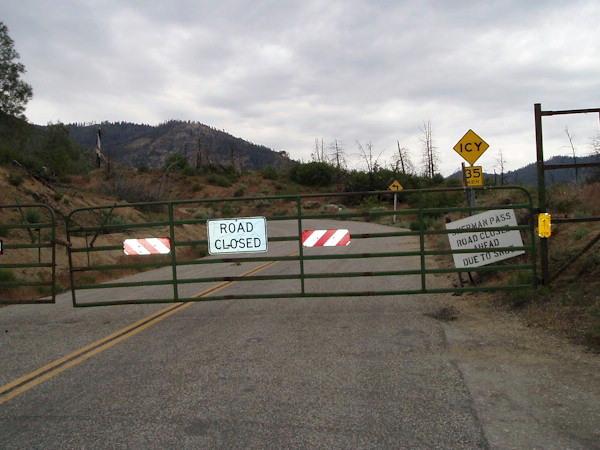 We took SR-190 into the Sequoia National Forest with the intention of crossing over Sherman Pass to Nine Mile Canyon Road via Kennedy Meadows, but found the pass locked-up tight. 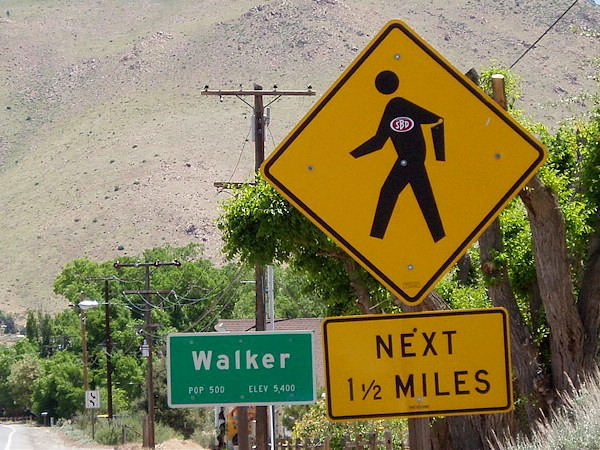 at the start of Sherman Pass Road. 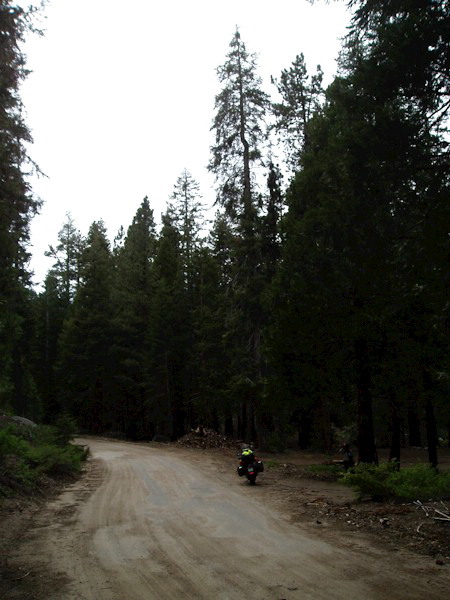 [Lisa] We rode through the Sequoia National Forest, not part of the National Park, but beautiful nonetheless. I think that the redwood trees are one of my very favorite ecosystems. This one includes lots of aspen, oak, pine and manzanita, as well. Wandering the Sequoia National Forest. 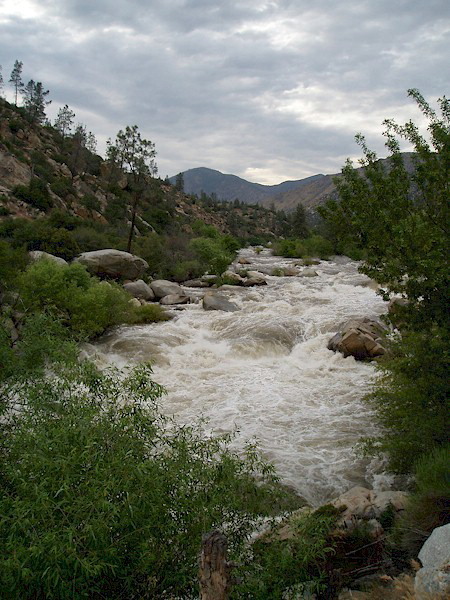 The raging Kern river. [Lisa] We did get a bit sidetracked after getting some slightly off directions (ahem) from a ranger. We did get to do 21 miles of DIRT though, which always makes Lisa a happy camper. However, we didn't get all the way to Ridgecrest, as planned. "Where the plan fails - Adventure begins!" [Lisa] We stayed in a nice motel in Kernville, and had sandwiches at a local Brewery. I think we were the only people in the place not drinking beer. We still had another day of riding to do! [Lisa] We are riding to return home, now. The road from Kernville took us back into the San Bernardino basin, and into some off and on spring rain. The view was strange seeing sun overhead and dark clouds raining like mad in the distance. [Lisa] In Banning stopped off at a Jack in the Box for lunch, and a quick rest. 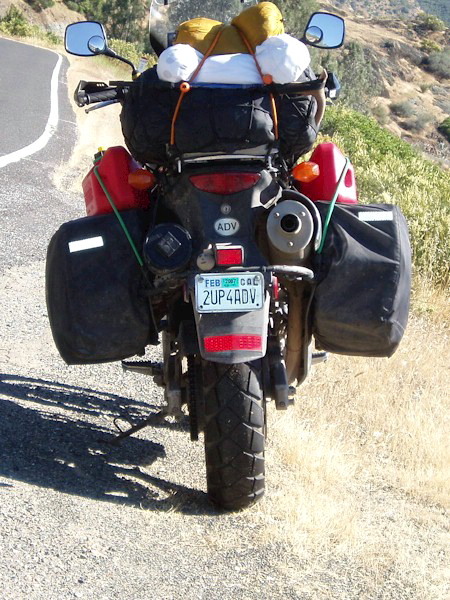 Then, back on the V-Strom to ride on the back roads south toward San Diego. 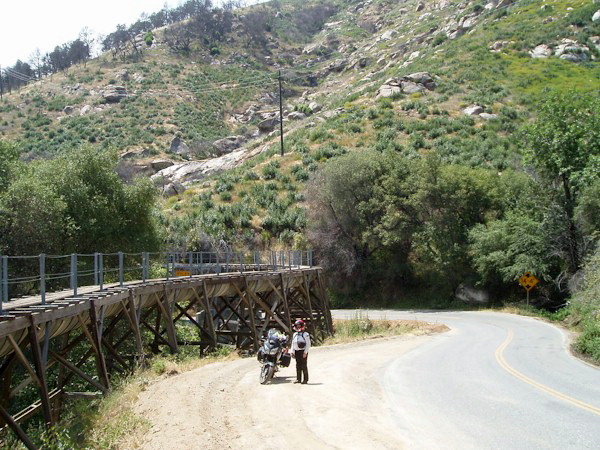 We climbed from the desert on the twisty road that rises up from Banning to Idyllwild. There was some filming going on, so we had to wait for one lane riding clearance from traffic control. We got to the top of the hills and saw familiar ground stretching out in front of us. We continued past Warner Springs and down to our home stretch through Santa Ysabel and Ramona -- and finally, home.